This recipe comes from The Australian Women’s Weekly Cooking Class Basic cookbook. Simple and Delicious. 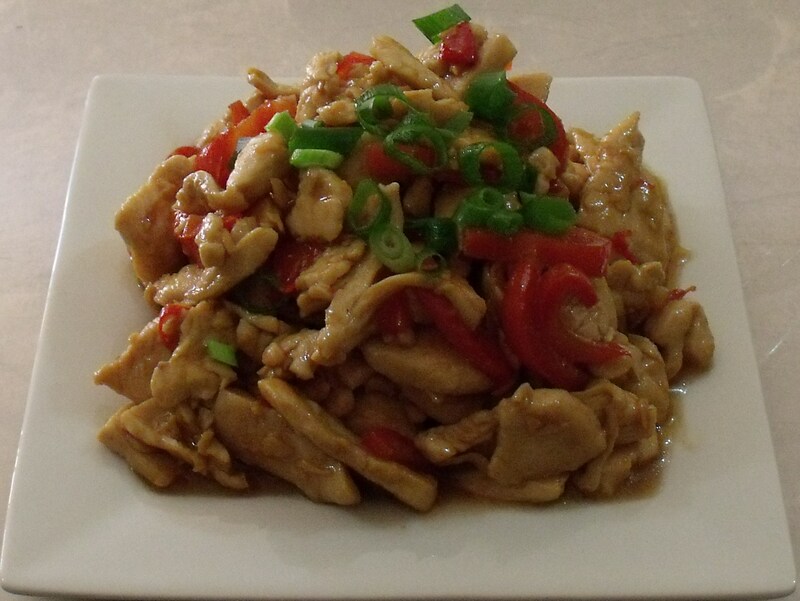 Heat half of the oil in a wok or large frying pan, stir fry chicken, ginger & chilli in batches, until chicken is browned. Heat remaining oil in wok, stir fry capsicum until just tender. Blend cornflour in small jug with sauce, stir in juice & honey. Return chicken mixture to wok with honey mixture, cook, stirring until mixture boils & thickens. Sprinkle with onion just before serving. This looks delicious – and so easy for a weeknight. Can’t wait to try. Thanks for posting.